I enjoy reading historical fiction novels immensely. I also enjoy reading about the Romanov family/dynasty. 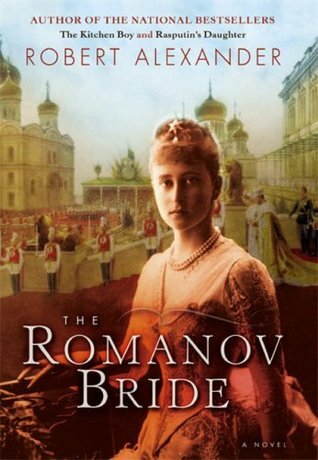 So, I was excited to read The Romanov Bride by Robert Alexander, which I purchased from the FOL used bookstore in Carpinteria, California in November 2013. The Romanov Bride by Robert Alexander is the third novel in the 'A Romanov Novel' series. I'd actually read the first two historical fiction novels written by Robert Alexander in the 'A Romanov Novel' series - The Kitchen Boy (which I loved reading) and Rasputin's Daughter (which was a disappointment). I had high hopes for The Romanov Bride by Robert Alexander. I wanted to love this novel. Unfortunately, I read 128 pages of The Romanov Bride by Robert Alexander and decided to quit reading it altogether and move on to a more worthy book. The characters were one dimensional and flat. The writing in general felt slightly immature and juvenile to me. I felt this novel was written for a much younger audience perhaps? Let's just say I was less than captivated by my entire reading experience of The Romanov Bride by Robert Alexander. Sadly for me, The Romanov Bride by Robert Alexander could have been a stellar read. Normally, I don't bother reviewing books I do not finish reading here on my blog. However, since I did finish reading more than a third of The Romanov Bride by Robert Alexander, I thought I would share my feelings regarding what I did think of this novel and why I decided to quit reading it. Do any of you quit reading books that aren't holding your interest? 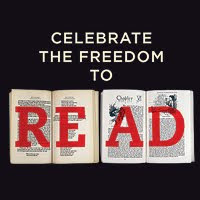 What makes you quit reading a book? Below is a book trailer for The Romanov Bride by Robert Alexander that I discovered on YouTube in case you were wondering more about the plot itself. I am giving The Romanov Bride by Robert Alexander a rating of 0 stars out of 5 stars. Oh that is too bad. I hardly ever give up on a book once I start it because I am just weird that way. But it has happened. Like you, it is because the writing does not please me or even makes me furious! I don't like giving up on books either. I usually push through and finish them, even if I am not enjoying them. But this one just wasn't capturing my attention/interest. I have too many other books to read and am looking forward to spending the time reading them instead. I read The Kitchen Boy and Rasputin's Daughter, both of whom I loved, though I confess I made innumerable attempts to connect with the latter before I finally pushed myself to finish it. This one I was interested in until I saw mixed reviews upon release, and I decided that it wasn't worth my time. Your review makes me think I did the right thing. 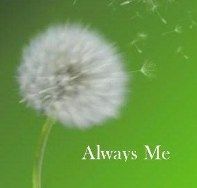 As a rule, I push through books even if I find them plodding, but from time to time, when I'm not making any progress with a book for one reason or another, I simply put it aside to read at a later date. Glad to hear you enjoyed both of Robert Alexander's 1st two novels in the series. I usually push through books too... I tried reading this novel once before and couldn't get into it then either. I'm sorry to hear this didn't work out for you, Lisa. I'm also completely obsessed with historical fiction (or just plain historical nonfiction too) and after reading Queen of Someday (which is focused on Russia during the time of Catherine II in the 1700s), I've been itching to read more novels set in that part of the world. Unfortunately, if you had to DNF it, I'm thinking it would just be a waste of time for me, especially because I have such a hard time DNFing books (I just need to finish things and see how they turn out!). I envy your ability to set a book down for good if you know it isn't working. I'm a work in progress on dnfing books. Most of the time I power through them, but this year I've decided that I do not ant to waste my time reading books I am not enjoying! I have way too many books in my tbr to waste my time reading bad books. Too bad about this one. I've always found the Romanovs fascinating. I've always been fascinated by the Romanov family as well, which is why I was initially attracted to this novel.